An exclusive formula that contains four different attractants flies can’t resist in a water soluble pouch format. It can be used with fly terminator jar and other reusable water-based traps. Each package contains eight 30 gm. Water soluble pouch. 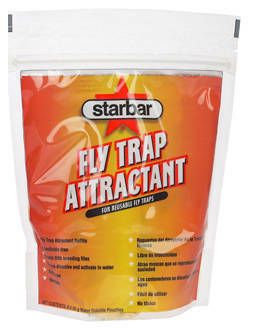 Insecticide free, Easy to use, Non Toxic, Attracts filth breeding flies.